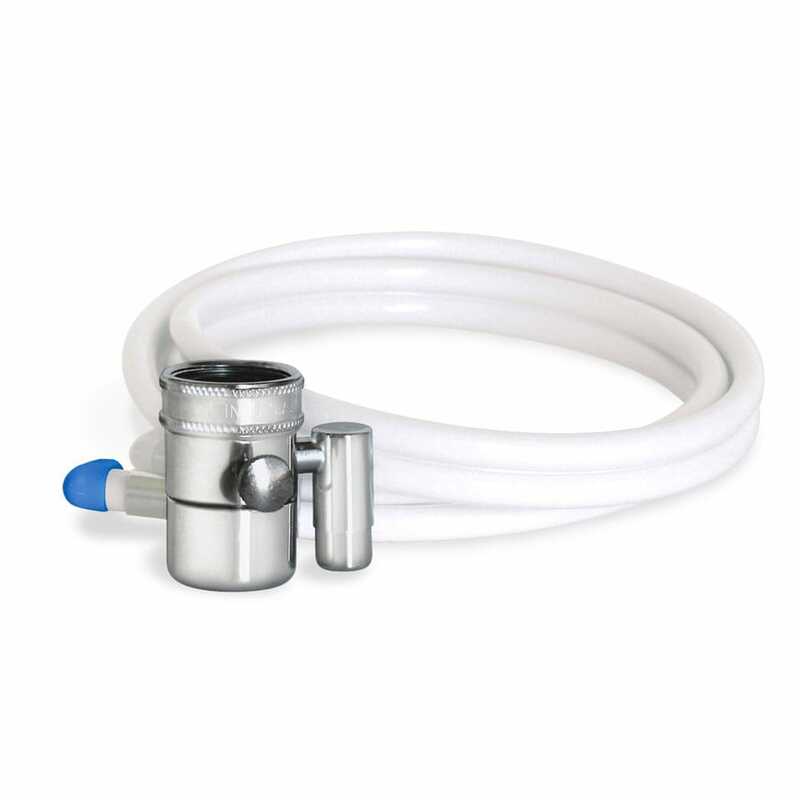 Replacement diverter hose assembly for the countertop water filter system. Diverter Hose Assembly Chrome is rated 4.4 out of 5 by 43. Replacement diverter hose assembly for the AQ-4000 Countertop Water Filter. Rated 5 out of 5 by DMon1 from Works Great! Water was not coming out smoothly, in fact, the screen was clogged and that caused water to come out in all directions, making a wet mess. Replacement works great! Rated 5 out of 5 by spicey2 from Great Product Brought it as a replacement part for my previous one. Install was quick and easy. The clear hose looks much better than the solid white. Works like a charm! 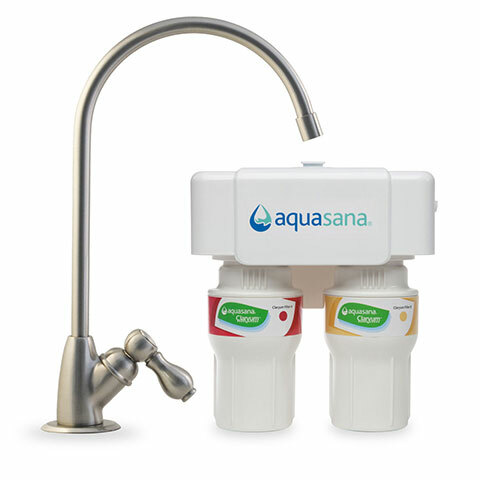 Rated 5 out of 5 by Sharon from We love our Aquasana Countertop! We love our countertop filter. 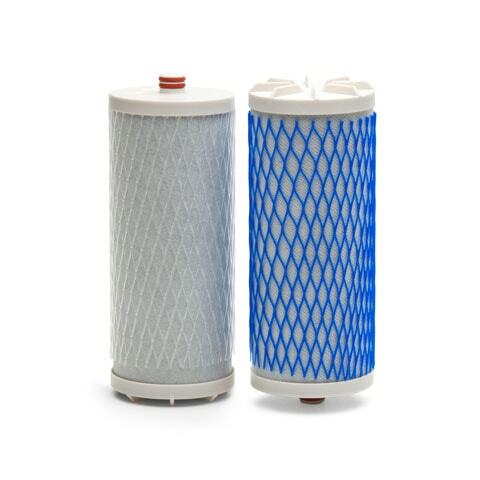 We used a pitcher filter for years, and it was annoying to fill, expensive, smelled like mildew quickly, and the water would taste off when the filters would be done, Our countertop filter is amazing! 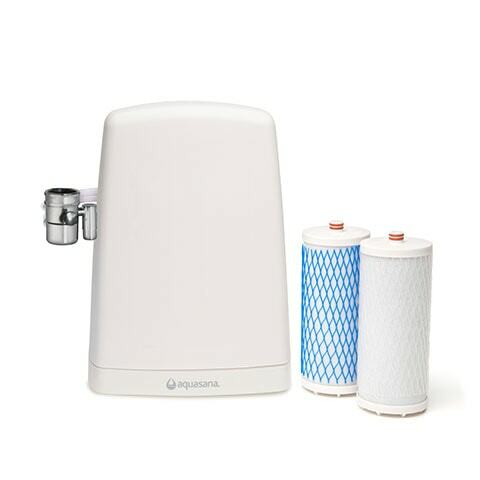 Water tastes great, filters need replacing only twice a year, and its easy to remove the hose from the faucet when needed (which we do every night to attach our countertop dishwasher to the faucet). Our hose started to grow algae, and Aquasana customer service was very helpful and replaced the part for free (I'm a Water for Life customer). Rated 5 out of 5 by Don from I hope that I will always use this product My family use it for drinking water. It is easy and simple to use. Water is clean and of very good taste. 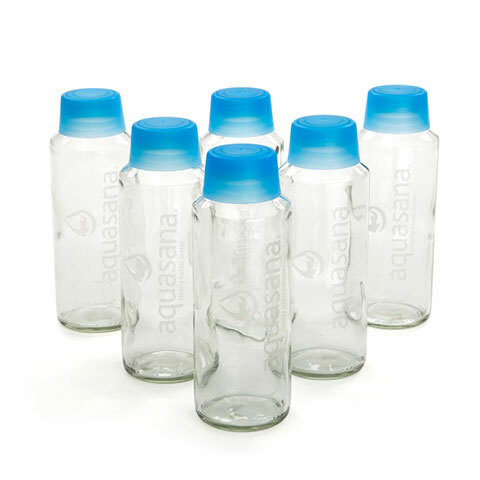 Thank you Aquasana! does this diverter hose assembly include the hoses? Do the blue and white ends of the old hose just pull out? I used as much force as I can muster and the haven't budged. They don't seem to unscrew. What am I missing? How do I remove the old hose. We moved to a new house and now no water will come out of the diverter. I'm assuming I need to replace it. Can you advise as to whether this is normal AND how often the &quot;diverter hose assembly&quot; should be replaced?